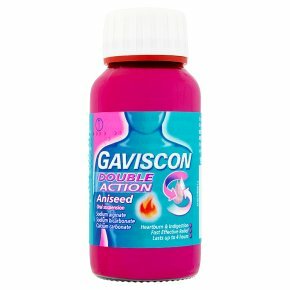 Heartburn & indigestion. Fast effective relief. Last up to 4 hours. Dosage: For oral use. Shake well before use. Adults and children 12 years and over: Take 10-20ml (two to four 5ml spoonfuls) after meals and at bedtime, up to four times a day. Children under 12 years: Should only be taken on medical advice. If symptoms persists after 7 days consult your doctor.